Dr Steyn started his career as a Biomedical Researcher conducting mechanistic studies that define hypothalamic integration of energy homeostasis, growth and reproduction. He developed transformative methodologies that are the industry gold-standard for the assessment of patterned hormone release. In 2015, Dr Steyn expanded this research focus to conduct studies to improve our understanding of neurodegenerative disease. He co-pioneered methodologies for improved assessment of energy expenditure in humans and developed a research platform that has received traction for improved detection of hypermetabolism in neurodegenerative disease. 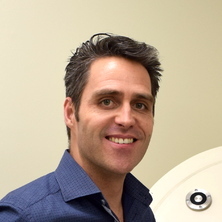 Dr Steyn currently oversees a clinical research program that aims to increase our understanding of widespread changes in the brain that contribute to faster disease progression. Specifically, he conducts studies that document the impact and mechanisms associated with impaired appetite control and energy homeostasis in Motor Neurone Disease. I have developed a translational research focus where I am assessing the role of altered growth and metabolism on the rate of progression of neurodegenerative disease, and in particular Motor Neurone Disease (MND). Through patient and animal directed studies I seek to repurpose endocrine and metabolic-directed treatment strategies to slow disease progression and improve quality of life for those currently living with MND. Wan, Ying, Veldhuis, Johannes, Steyn, Frederik and Chen, Chen (2016). The refinement of luteinizing hormone (LH) output during pubertal maturation is associated with the recruitment of follicle in adult female mice. In: Annual Scientific Meeting of the Endocrine Society of Australia, Adelaide, Australia, (2-3). 23-26 August 2015.